Who was who, and what did they do? Combining life changing Bible truths with loads of cool characters, this awesome book will bring the New Testament alive and make it radically relevant for kids today! Features over 23 memorable messages. 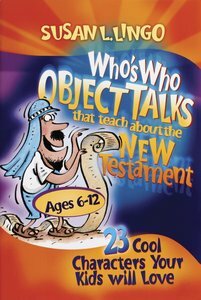 About "Who's Who Object Talks That Teach About the New Testament"
Standard Publishing--The leading publisher of object Talk resources.